Sport science and medicine play a very important part in the performance of a swimmer. Science can maximize potential and help fine tune the athlete, making small improvements in the swimmer's performance, which is often significant as just a few hundredths of a second can decide the result of races. The areas of the sport sciences that can be valuable to a swimmer include exercise physiology, biomechanics, sports psychology and sports medicine. Biomechanics & Physics — Sports Biomechanics is the application of physics and mechanics to the human body during sport. In such a technical sport such as swimming, it plays a very important in elite swimmers preparation and an important part in maximizing performance. See the articles on swimming biomechanics and hydrodynamics. Exercise Physiology — an exercise physiologist is invaluable for setting appropriate training and testing programs for the swimmer. 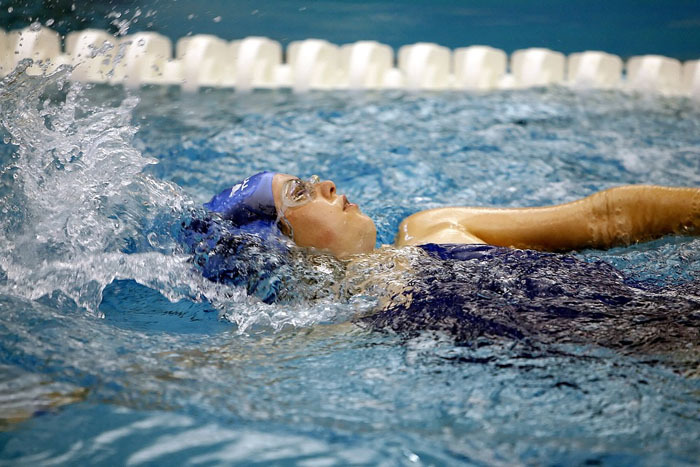 See the articles on swimming fitness and fitness testing. More information is available from the general pages of training, fitness testing, nutrition, biomechanics, and sports medicine.